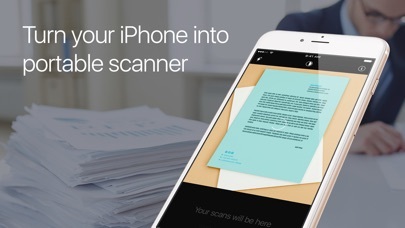 Scan & Sign is a powerful scanner that fits in your pocket! 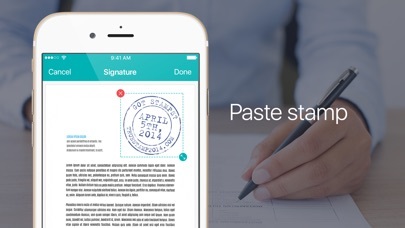 Discover a universal tool to scan any paper document and save it’s digital version in a wink. 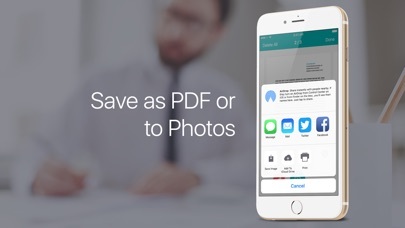 Scan, sign, affix and share multipage documents in high quality PDFs or JPEGs easier than ever. 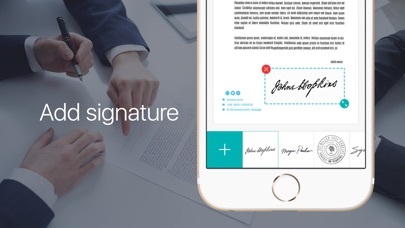 Enjoy the smoothest experience while scanning: - Business documents, agreements, letters, invoices, order sheets and email them back - Paper notes and sketches to always keep them at hand - Any articles and book pages for later read - Receipts to keep track of travel expenses - Business cards to save the important contacts - Rentals, credit notes, bills or any other printed documents E-sign and stamp documents right on your device: - Put one or several signatures and stamps into the app - Add them to any scanned pages in a tap Share your scans via: - Email or message documents as PDF, JPEG, or PNG, or save to Photos - Export to Dropbox, Evernote, Google Drive or open in any 3rd party application Keep all the important docs at your fingertips and beat back the paper clutter easy breezy!